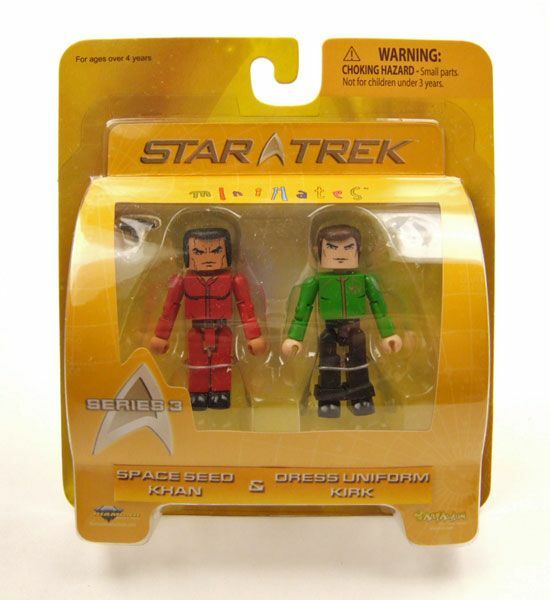 Khan & Kirk were released as part of Diamond Select's third wave of Star Trek Minimates. 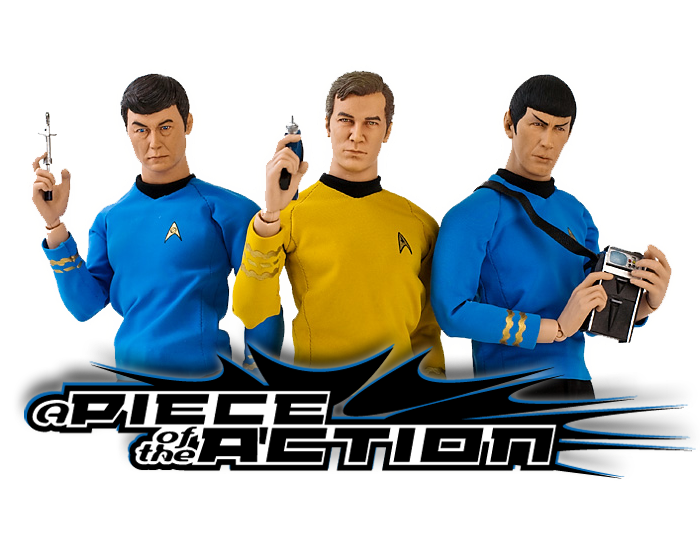 Kirk fills the "main character variant" spot in this pack. Here we get him in his dress uniform (to go along with dress uniform Spock & McCoy). 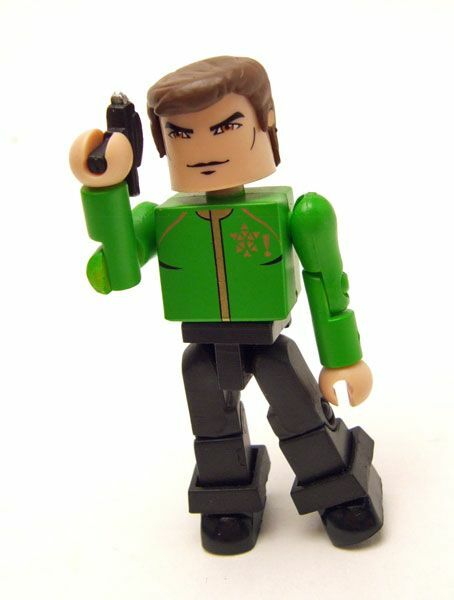 Unlike some of the minimate pairings, this one actually makes sense due to Kirk wearing this uniform in "Space Seed". It's not a Kirk you particularly need unless you're going after a complete set, but he's at least a well done variation. 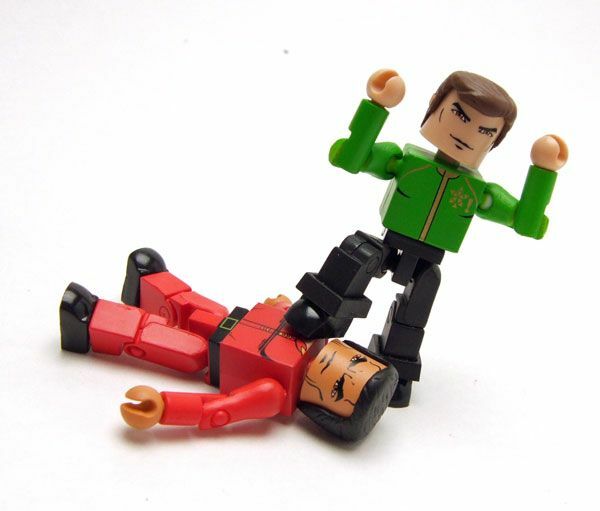 The likeness is pretty decent, capturing Kirk's bravado well in this form. Kirk's dress uniform is nice too, with a good amount of detailing on the chest. 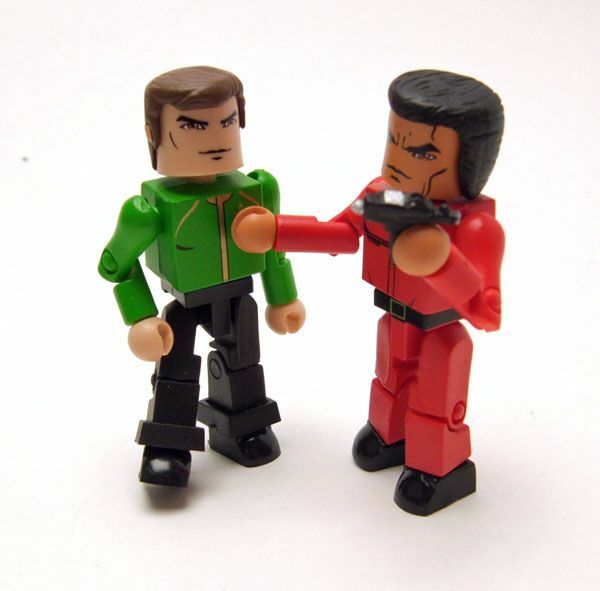 DST chose Khan's red jumpsuit for this 'mate. 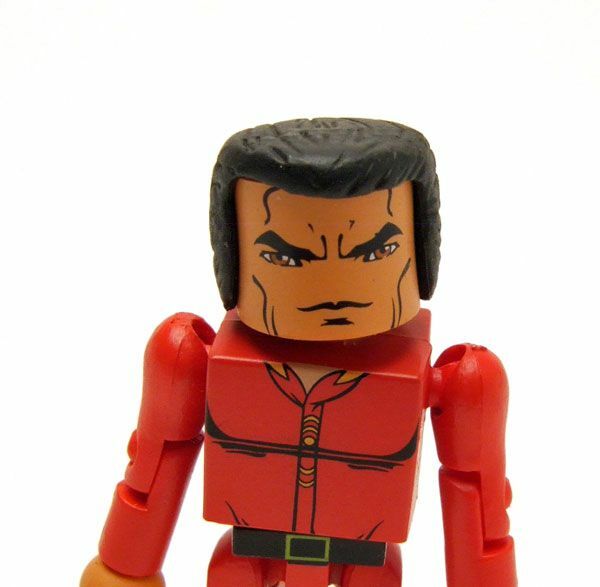 The detailing is nice for what it is, but there's not much going on with a red jumpsuit to make it jump out as Khan. Thankfully, the head sells it. 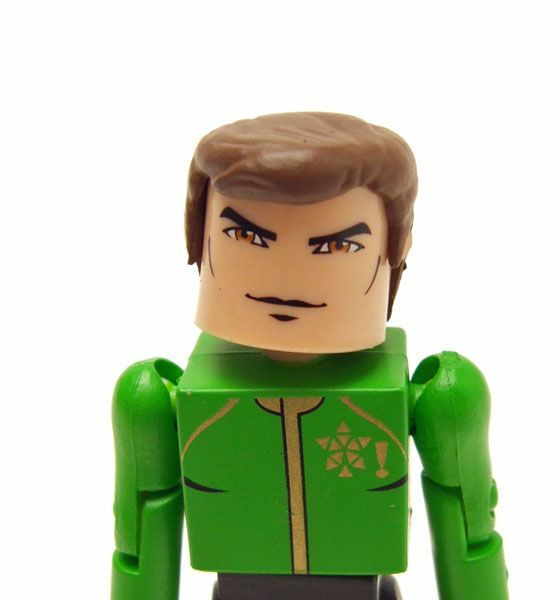 They really nailed the confident half-smile that Khan wore for much of the episode. 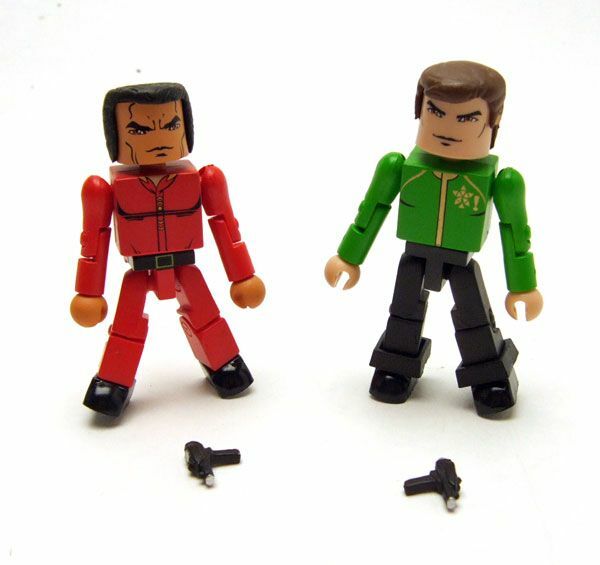 Accessories: Both Kirk and Khan comes with hand phasers. Or you can just give them both to Kirk. 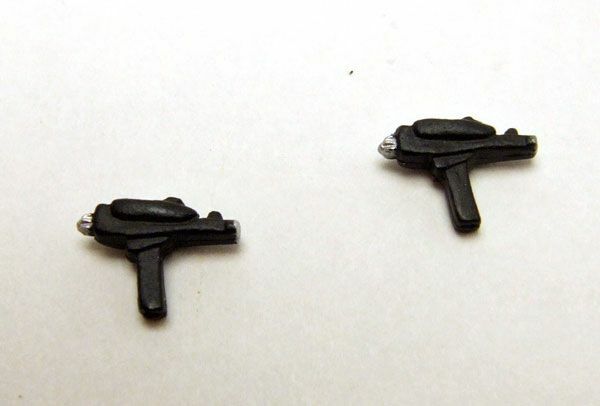 Khan has little need for such devices! That is a fairly good Kirk. 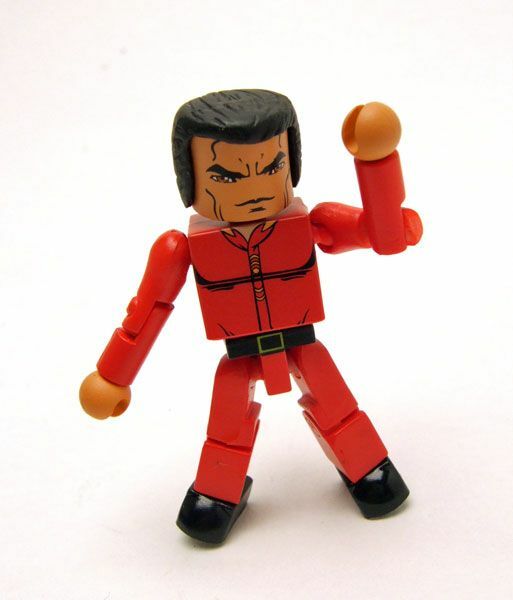 Considering that it's a minimate on top of that.